Three big announcements were made this year, as Gian Paolo referred to the beginning of what he termed the “industrial renaissance”. Instead of inspiring words this year, we were met with a rallying cry to drive innovation and design into the future. This new direction is focused on a sustainable and innovative future with a partnership between products, nature and life. Mr. Paolo said, "We need the modern equivalent of the printing press" and then showed us his vision for the future. The first announcement was for a huge overhaul of 3DEXPERIENCE and the launch of 3DEXPERIENCE.WORKS. This will continue to grow the 3DX platform to include manufacturing, simulation, design and planning all in one solution. The promise is to add emotion to these phases of the product life cycle by keeping them in one suite. Second was the announcement of the particular products included in this 3DX explosion – the addition of DELMIAWORKS (which was promised to do for Enterprise Resource Planning (ERP) what SOLIDWORKS did for design! ), SIMULIA integrated into SOLIDWORKS to provide that extra horsepower when SOLIDWORKS Simulation hits its limit and ENOVIA PLM software. These will all be seamlessly integrated together in a fully interoperable system with a strong leaning towards the option for cloud-based solutions. A new product called xShape was also announced for direct edit of SOLIDWORKS parts, something highly requested by users! 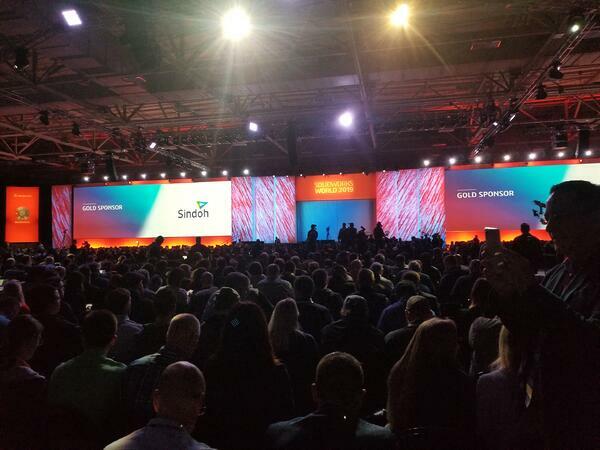 The final announcement… THIS IS THE LAST SOLIDWORKS WORLD! That’s right, from now on we’ll be reporting day-by-day blogs about 3DEXPERIENCE WORLD! This shows the commitment 3DS has made to this new industrial renaissance, and I am extremely excited to be a part of it. We ended on a high note, but somewhere in there was a custom guitar build entirely in xDesign and a wicked Lithuanian guitarist shredding it. I elected to attend to Electrical breakout sessions today, which are usually held in the small rooms, but there was a ton of great information from the SOLIDWORKS Electrical team, and a great presentation by another reseller. As always, the line for our own Stephen Petrock’s 60 Tips in 60 Minutes session was reaching across the conference as everyone jockeyed into position to get the best seats! The Partner Pavilion was as crazy as yesterday, everyone rushing around to fill out their bingo cards of visited vendors, and with Dell was raffling off and brand new Quadro 4k! I didn’t get it, unfortunately, but the swag was raining down on this AE as I filled a bag with assorted things to lose in my junk drawer at home. The Certified SOLIDWORKS Expert (CSWE) event theme was camping, which was a bit confusing, but once we arrived and saw the pickup truck toolboxes for tables and canoes full of beer, things began to click into place. I’m not sure why the 90’s R&B was blasting, but the dance floor was getting wild as I left to get this blog written! Just one of the many sacrifices made here as we have a blast just to get the scoop back to those who couldn’t make it out. 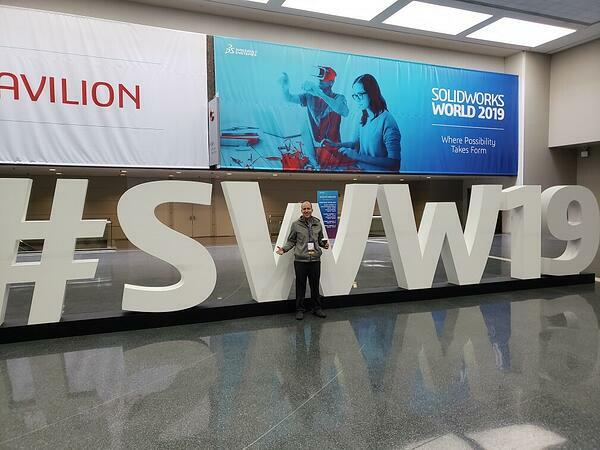 Want to see more #SWW19 highlights? 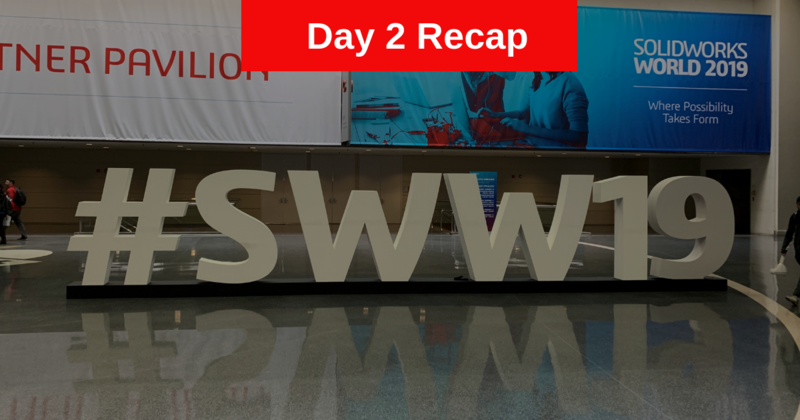 Browse our recap from Day One or subscribe to our blog to stay up-to-date on all SOLIDWORKS and TriMech news.